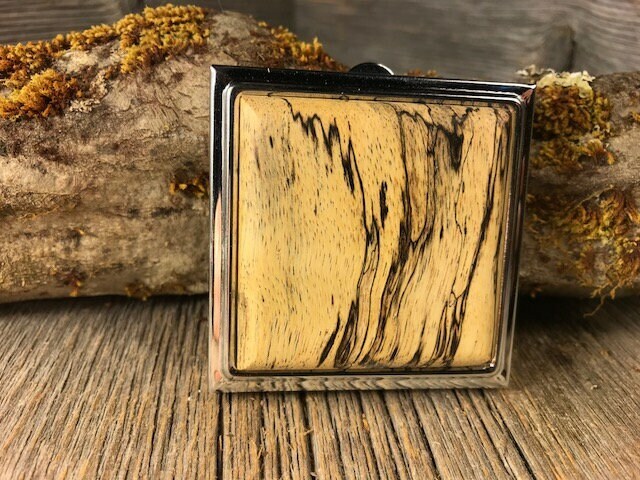 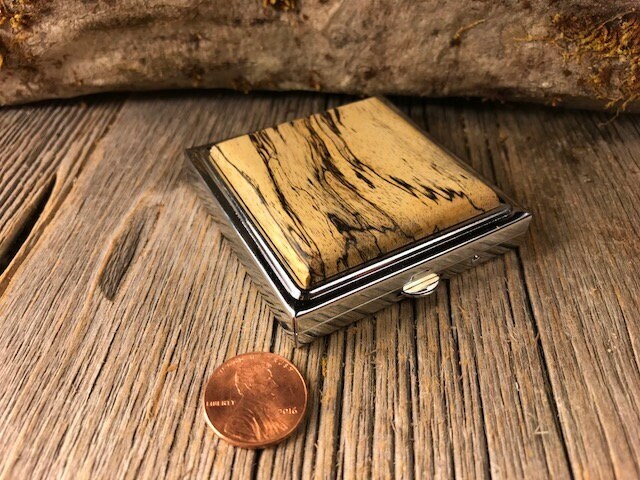 This simple and unique handheld pocket mirror/ Compact features a gorgeous cut of Gallery grade Spalted Tamarind, precisely inlayed into a chromed steel case. 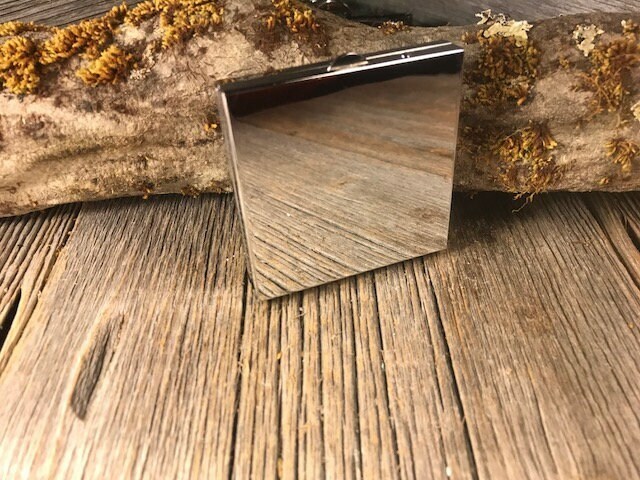 The 2 interior mirrors and perfectly suited for a quick beauty check or a quick touch up. 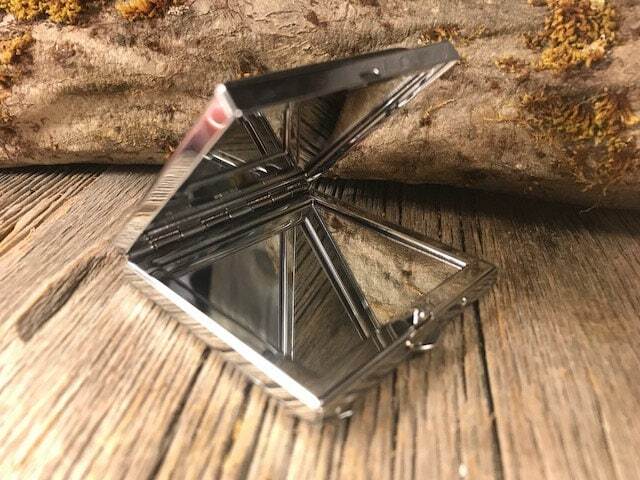 This Box is made from top quality Chromed Steel, and has 2 glass mirrors inside.